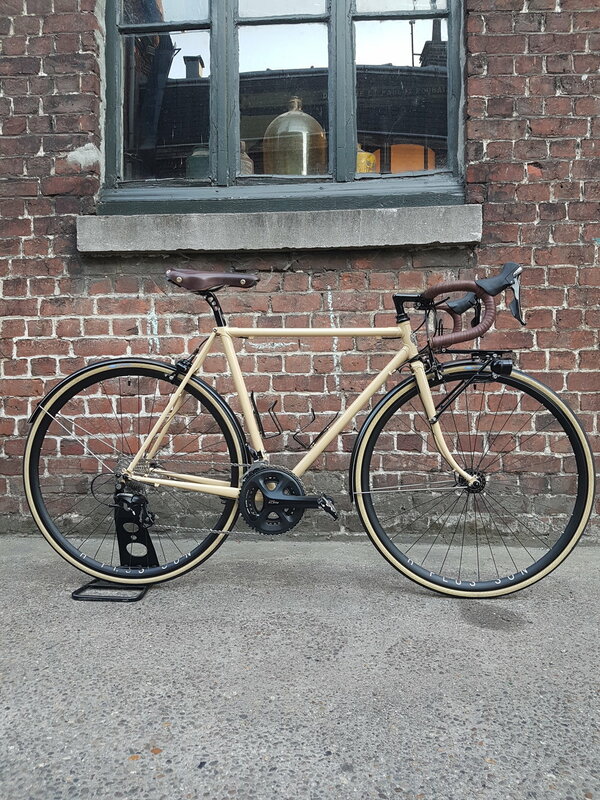 Just before leaving for the Concours de Machines 2017 weekend, my friend Joschko picked up his new lugged road bike, transformed into a classy randonneur. He took it on a very long shake-down ride to Zurich where he and the bike arrived safely. Bravo!!! 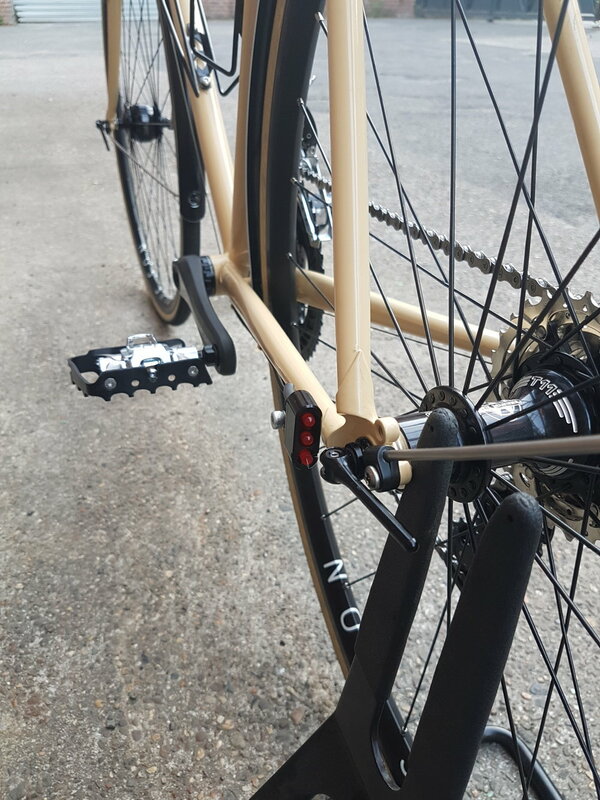 The frame and fork are made entirely from Columbus SL tubes. The wheels are hand-build by Cycles Get Lost: H Plus Son Archetype rims, Son Delux Dynamo hub in the front and White Industries T11 in the back completed with Compass Chinook Pass 700cx26mm tires. 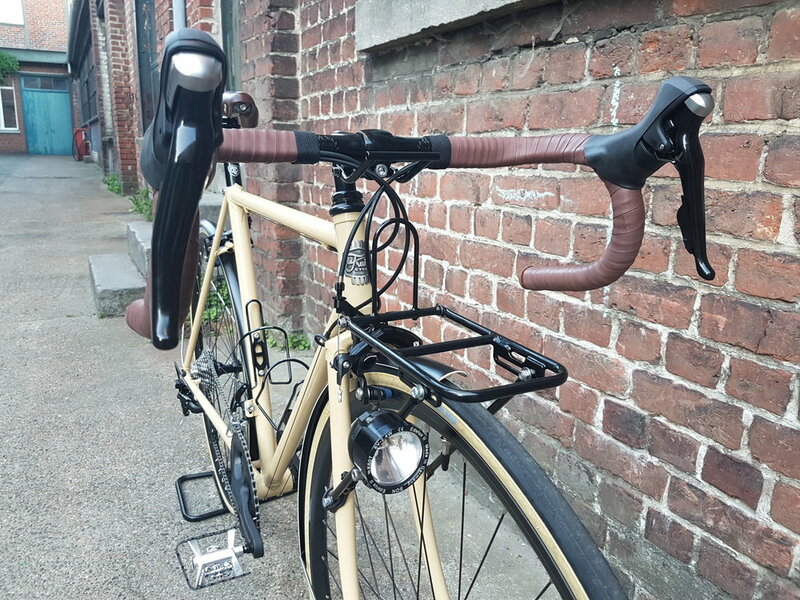 Saddle, bar tape and front luggage rack are made in France by Gilles Berthoud SAS. Front light is a SON Edelux II and the rear is a Supernova E3 taillight. 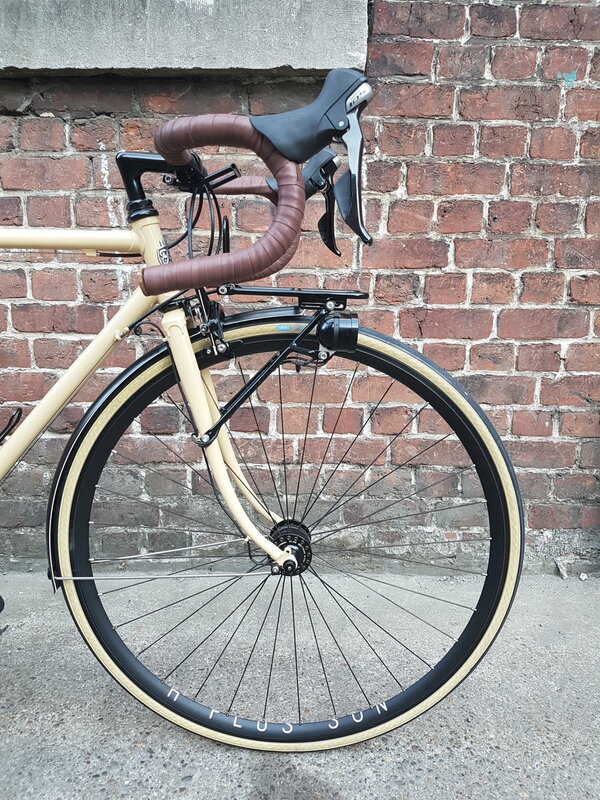 The Vélo Orange Grand Cru brakes and handlebar, the solid Shimano 105 group, and the Curana fenders (slightly wider Schindelhauer version) complete the set up.